Please complete the following reservation request and upon receipt of your request, we will contact you to confirm a flight time and answer any additional questions you may have. Your reservation is not confirmed until we have contacted you with details and your credit card has not been processed until you are emailed a reservation confirmation. Your reservation confirmation will contain details regarding your tour, including all applicable discounts. It will also provide directions to our pickup location at the Ketchikan Visitor Bureau. All pickup times are approximately 20 minutes prior to the tour departure as listed on your reservation confirmation. 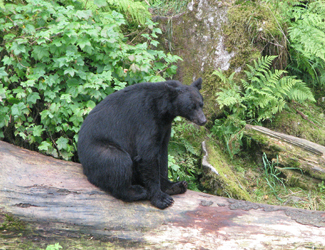 Thank you for your interest in our Prince of Wales Bear Viewing tour. See you soon!